LOOKING FOR THE UNUSUAL.....LOOK NO MORE. 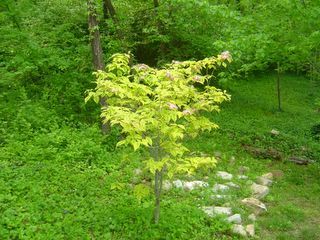 A VARIEGATED DOGWOOD. CHECK OUT THE CHEROKEE SUNSET DOGWOOD. THEY JUST RECENTLY CAME IN AND ALREADY, WE'VE SOLD ALMOST HALF. PLUS THEY'RE LOADED WITH FLOWER BUDS.